Bongo, a leading video assessment and soft skill development company, announced its new leadership team today on the heels of two major partnerships the company secured over the past quarter. Taking the reigns as CEO is Josh Kamrath, an edtech thought leader who has been an integral part of the company’s strategy for the past several years and was previously responsible for signing new partnerships. Assessment Technologies Group (ATG) and Pelocity—leaders in the talent assessment and virtual career guidance and placement industries, respectively—bolster Bongo’s growing list of partners, which include tech giants D2L, Moodle, Top Hat, and Toolwire, as well as publishers like Cengage and Sage. Bongo’s proprietary video technology seamlessly integrates within ATG’s talent selection systems and Pelocity’s career navigation platform, allowing these organizations to drive career advancement initiatives and foster lifelong success on a global scale. 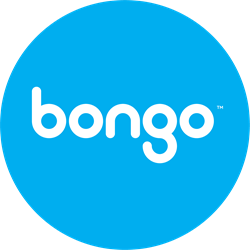 Bongo is preparing for this massive growth potential with an extended leadership team that includes industry powerhouses that have recently joined the company. Karyn Kagiyama, who has held senior leadership positions at Hewlett-Packard, Oracle, and Rally Software, leads Bongo’s product strategy; Julie Zinn, an operations pro in the software and training industries, leads the operations team; and Dr. Tina Rooks brings her 20 years of experience in the education market, including time as Chief Instructional Officer at Turning Technologies, to the strategic partnership team. They join an experienced executive team that includes Kamrath, CTO Bruce Fischer, CFO Dan Kamrath, and others. Bongo (formerly YouSeeU) is a video assessment and soft skill development platform. With its proprietary video technology and powerful feedback capabilities, Bongo enables the mastery of communication, collaboration, and critical thinking. Bongo was founded in 2009 and is headquartered in Loveland, Colorado. For more information, visit http://www.bongolearn.com.